Captain Friso was born in Wellington New Zealand as the only son of a Dutch shipping executive who was based there for Nedlloyd. (A Dutch shipping company now merged with Maersk Containers). Shortly after the family moved to Lagos, Nigeria, and when he was three they settled in Teteringen a little village close to the town of Breda in the Netherlands. When living in Lagos and visiting the local yacht club, Friso’s first word was “boat” and when growing up he always had a fascination for water. The captains name is, even for dutch standards, quite unusual and carries a nice story. It dates back to the late 18th. century. In 1794 a Nicolaas Kramer was born in Amsterdam. His father was Cornelis Kramer and he was a sailor who left shortly after the birth for sea again and died at sea in the same year. The wife and mother of Nicolaas returned to the town of her youth , the city of Culemborg. A place with medieval roots and surrounded by city walls. She married again and this time to a gentleman whose last name was Freher. He died in 1804. Now the mother could have reverted to her maiden name but choose to be the widow Freher. The son Nicolaas born with the last name Kramer continued to use his original last name but added to the marriage contracts (he married three times) also the name Freher. Maybe to honor the stepfather who took him in, the history is not entirely clear. To discern between the real last name Kramer and the adopted last name Freher the word gezegd (= as coming from) was entered in the name,without using the g as a capital. And that created the beautiful but sometimes confusing name of Friso Kramer gezegd Freher. Back in Holland, at the age of seven, he started sailing an Optimist. (A small one sail training boat for new learners) His sailing hobby then really took off and he crewed a variety of sailing boats competitive, nationally and internationally, going as far as races in Hobart Tasmania. 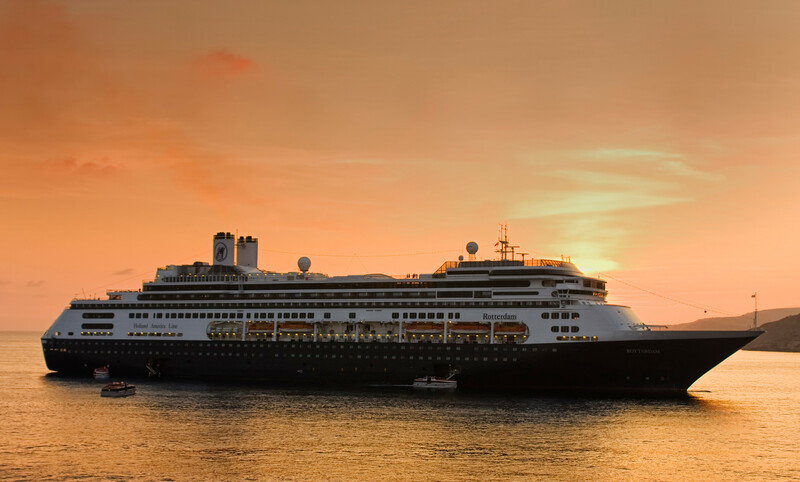 This continued until the age of 24 when he joined Holland America Line. Academically he started with a pre-vocational secondary education for four years and after graduation continued at a maritime college at the age of 16. At the time this was three years of classes to become a licensed engineer/deck officer and one year of apprenticeship. The ms Baltic Link. 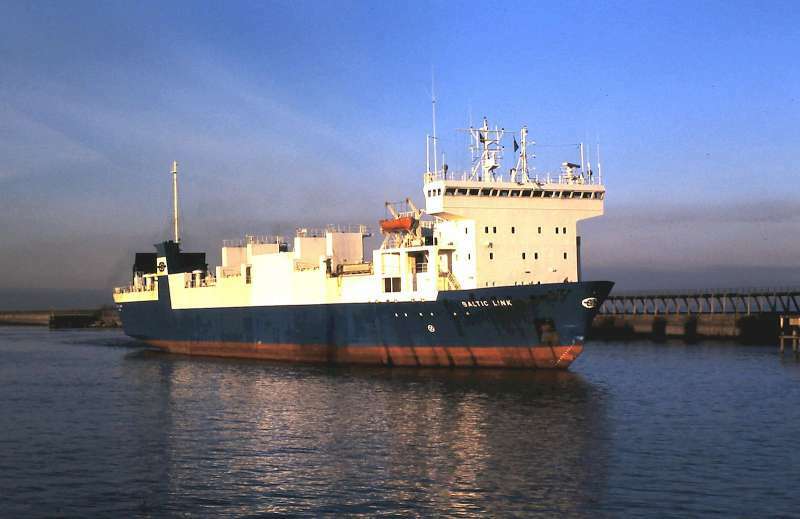 A cargo ferry specializing in the Baltic ports. This was one of the ships on which he sailed as a cadet. Sailing as an apprentice officer was done on multipurpose cargo vessels and Roll on Roll off vessels. The work was very interesting however due to downsizing of the numbers of officers &crew, social life was non-existent. 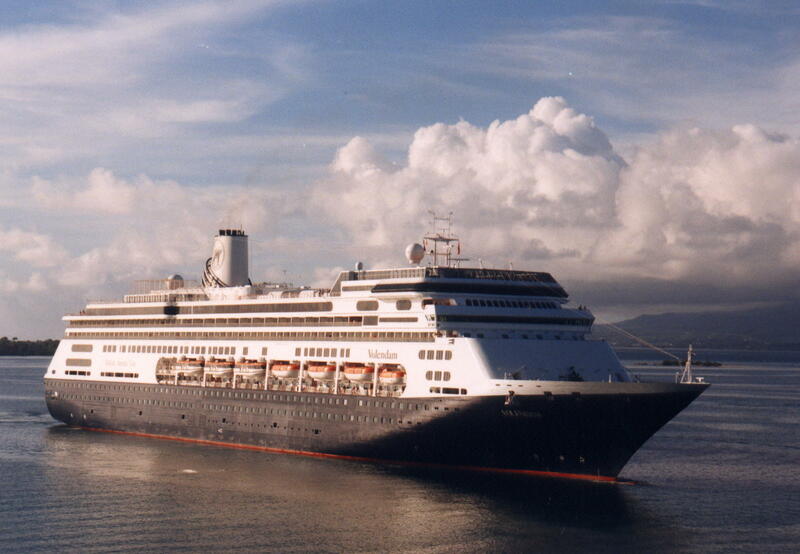 The ms Rotterdam (VI) the first Holland America Line ship of Captain Friso Freher. 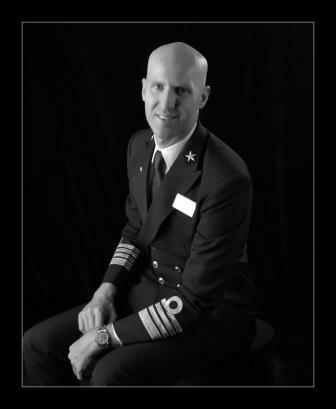 After graduating, studies continued and he obtained a Bachelor degree in Maritime operations from the Nautical College of Rotterdam and was hired by Holland America Line in 2001. He joined the ms Rotterdam as a 4th officer, the ship being under command of Captain Peter Bos at the time. Rising through the ranks he became Staff Captain on the ms Amsterdam in 2008 and in received in 2018 first command of the ms Amsterdam. the ms Volendam (IIII), seen here approaching Guadaloupe Island, is the current command of Captain Friso Kramer. Captain Friso resides in Ocean town close to Asbury Park NJ and is father to a beautiful teenage daughter Sara Josephine. When not working he likes to spend time with family and friends, traveling, surfing and snow skiing.